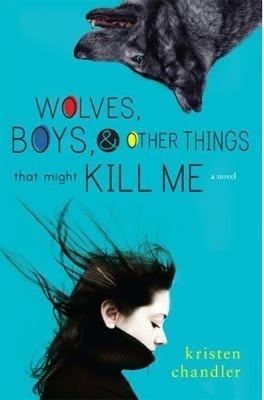 Synopsis: When KJ Carson is assigned to write a column for her school newspaper about the wolves in nearby Yellowstone National Park, she’s more interested in impressing Virgil Whitman, the new kid in school and the photographer assigned as her partner, than in investigative journalism. But before long, KJ has a face-to-face encounter with a wolf that changes her and the way she thinks about wolves. With her new found passion for protecting these controversial animals, KJ inadvertently ignites the fuse of the anti-wolf sentiment in the community. First Virgil is injured during a town parade, and then her father’s store is set on fire in retribution. To stop the escalating violence, KJ follows Virgil to the cattle ranch of the most outspoken anti-wolf activists in town, against her father’s will. What she discovers there threatens everything and everyone she cares about. In KJ’s fierce and funny attempt to make peace between the wolves and the people that despise them, she must first face her own long-held fears. It’s terrifying, but then, finding yourself always is. Luckily, I don't have to wait long for this. The release date is May 13th, 2010. SQUEE!!! I can't tell if it's werewolves or just wolves, lol. It sounds interesting though! Love the title and cover - gonna go pre-order it right this second!